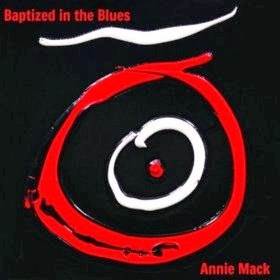 I just received the newest release, Baptized In The Blues, from Annie Mack and it's really fresh. It is composed of 10 original tracks but for my listening it's way too short. Opening with Fool To Believe, a R&B style track with a real New Orleans feel, Mack and her band consisting of Paul O'Sullivan (guitar), Tom Kochi (guitar), Charlie Lacy (guitar)Tim Scribner (keys) and Miles Johnston (drums) get the parade started. 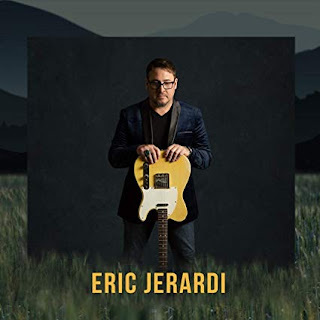 On title track Baptized In The Blues, the band really digs deep into the street sound with a lot of addition by Peter Vircks (sax), Zachary Lozier (trumpet)and Matt Darling (trombone). Excellent! 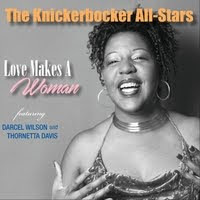 On soul ballad Hey, Hey Mama, Mack is backed by the rich vocal harmonies of Kathleen Johnson, Rhonda Johnson, Mocha Ya ya, Nora O'Sullivan and Dianna Parks. Paul O'Sullivan gives this track a bit of a western feel with traditional steel guitar playing. Really nice work. Call On Jesus has a certain Latin feel reminiscent of Black Magic Woman. This is a particularly strong track well featuring Mack's vocals, warm vocal backing, solid lyrics and clean guitar riffs. Saving Grace is a folk style track in the vein of Carol King or Stephen Stills with minimal acoustic guitar backing and steel guitar highlights. Seems Like Sorrow is another terrific track with great vocals from Mack and style right out of the school of Aretha Franklin. This track really has a nice groove and shows particular creativity blending soul, gospel, rock and stel guitar. One of the best tracks on the release. 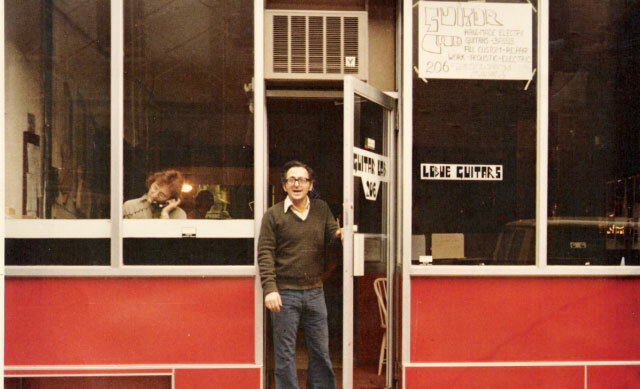 G-Groove is a cookin boogie track featuring O'Sullivan and Jason Craft (keys) trading riffs but of course with Mack never taking her hands from the controls. Walking Dead is a super track with roots in R&B but with a western twist. The vocal treatment on this track is particularly pleasing with echo effects and arpegiated chords on the guitar with vibrato and dabs of backing vocals. Very nice... I mean really! Wrapping the release is a gospel infused R&B track, Revolution, with strong vocals all around and hot funky riffs to get you moving. Hot funky jazz guitar riffs take the track in a different direction momentarily but it's the vocals on this track that really make it special. I haven't heard a release that has this solid a base in gospel and R&B that is as much fun in quite some time. This is a really cool release and one that I suggest you check out.